I remember coming across this recipe a while ago on YemSmoothies instagram (check her page out for plenty of vegan and smoothie recipes) and thought that I should give this a try. This is such a great way of incorporating a vegetable in your pancakes that tastes delicious and is healthier than your typical American pancakes. 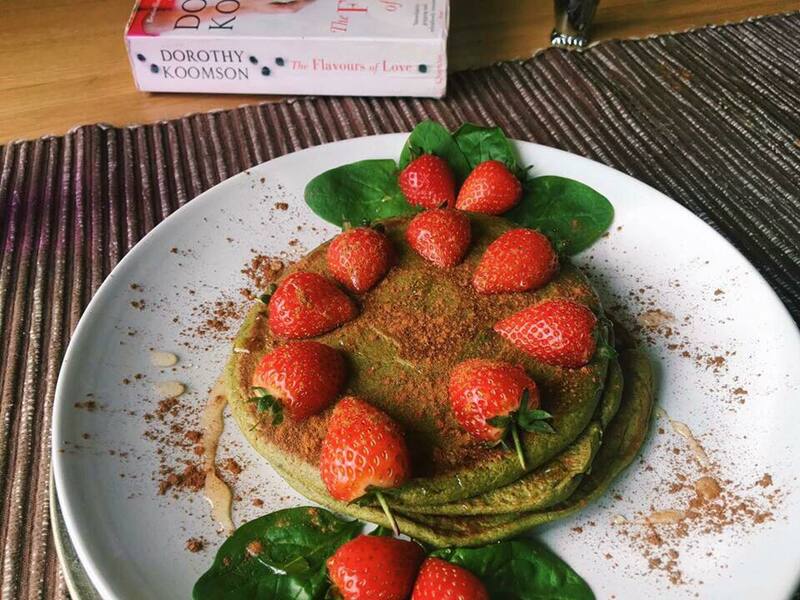 Green pancakes are now my go to breakfast, especially when I don’t feel like having eggs in the morning. This is such a simple recipe and I think it’s also a perfect brunch to fuel your body for most of the day. 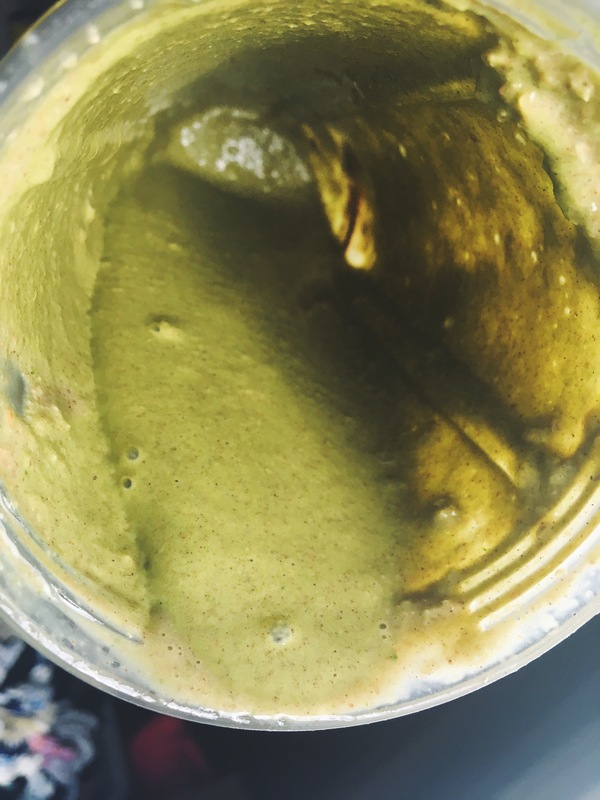 Apart from the coconut oil, place all ingredients in a blender and blend. * Stevia is optional to add if you would like your pancakes to be more sweeter. To ensure your pancake mixture has a thick consistency, add more oats if needed. * If your mixture is too soggy, your pancake will unlikely hold together. 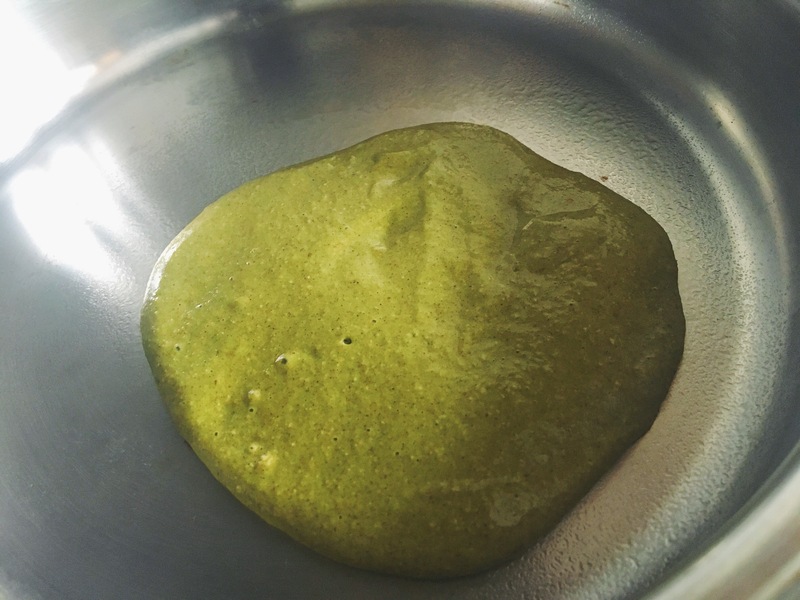 Grease a non-stick pan with coconut oil or any oil of your choice. Heat your pan to medium heat, pour mixture evenly on the pan and flip the pancakes onto the other side once it’s brown & cooked. * Tip: When the pancakes start bubbling a bit, this will be a another indication to start flipping. Serve with any fruit and sauce of choice. I garnished mine with honey, cinnamon and strawberries. For further assistance making this recipe, do not hesitate to comment below or contact me via email. Enjoy! 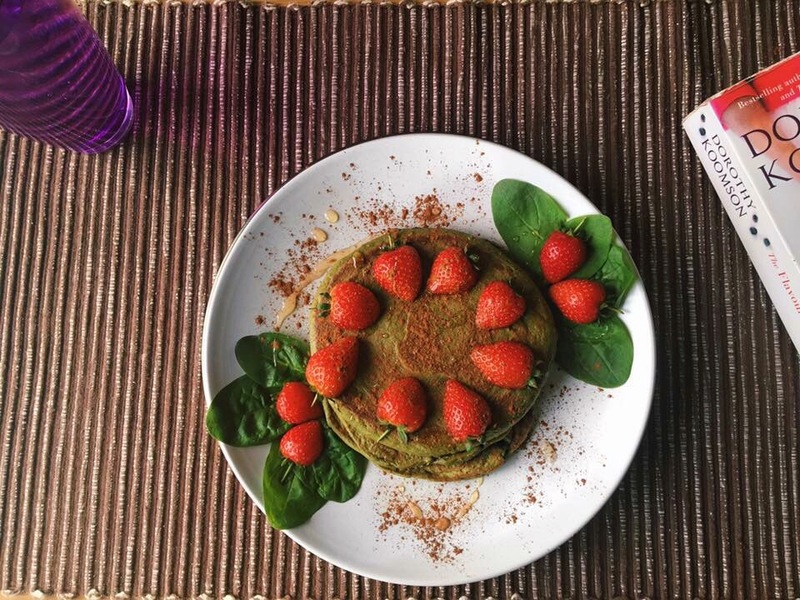 Nutritional Info (Per pancake): 151.7 Calories | 4 g Protein | 27.6 g Carbs | 3.3 g Fat * This may slightly differ depending on where you buy your ingredients from and if you add more oats to your pancake mix.